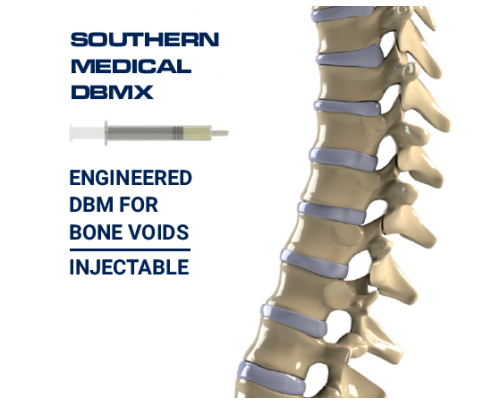 Southern Medical DBMX is a convenient, injectable bone void filler indicated for clinical specialties including orthopaedic and craniomaxillofacial uses where bone volume needs to be preserved/augmented. The product is manufactured using the company’s patented tissue matrix reassembly technology, and is a tissue derivative of porcine demineralised bone matrix (DBM). 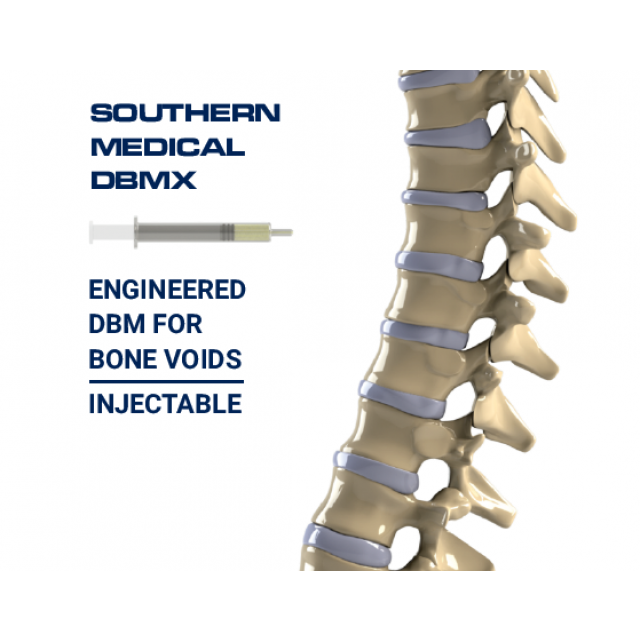 Southern Medical DBMX contains two endogenous DBM derivatives: OsteaPLEXTM and AltiCOLLTM. 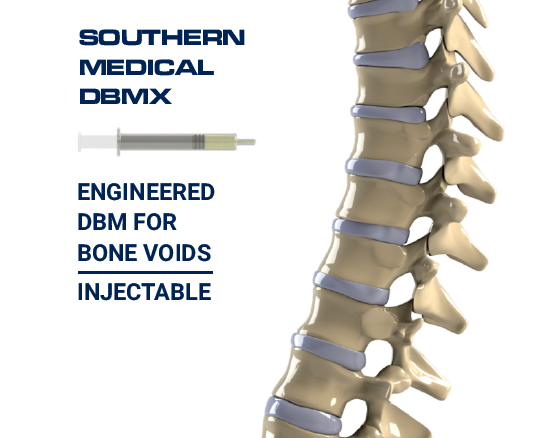 OsteaPLEXTM is the endogenous bone morphogenetic protein complex (BMP complex) that has demonstrated the ability to stimulate, induce and regenerate bone voids in human subjects. The third component is a viscoelastic carrier that gives the product its convenient ready-to-inject properties. The result is a unique biomaterial that resorbs and is rapidly replaced by de novo host bone. As an osteoinductive bone graft substitute during lumbar spinal fusion procedures. In oral and maxillofacial procedures where bone grafting is needed such as in sinus lifts, alveolar ridge augmentation and socket preservation.